Gender discrimination is woven into the very fabric of our U.S. economic system, and Wall Street helps grow the gender gap. This Tuesday marks a holiday — Equal Pay Day — we’re not all that eager to celebrate. April 2 symbolizes how far into 2019 women have to work to earn what their male counterparts made in 2018 alone. That date comes even later in the year for Black, Native American, and Latinx women. Gender discrimination is woven into the very fabric of our U.S. economic system, and we have more in this week’s issue on a new report from my colleague Sarah Anderson that explores how Wall Street helps promulgate some of this same discrimination. 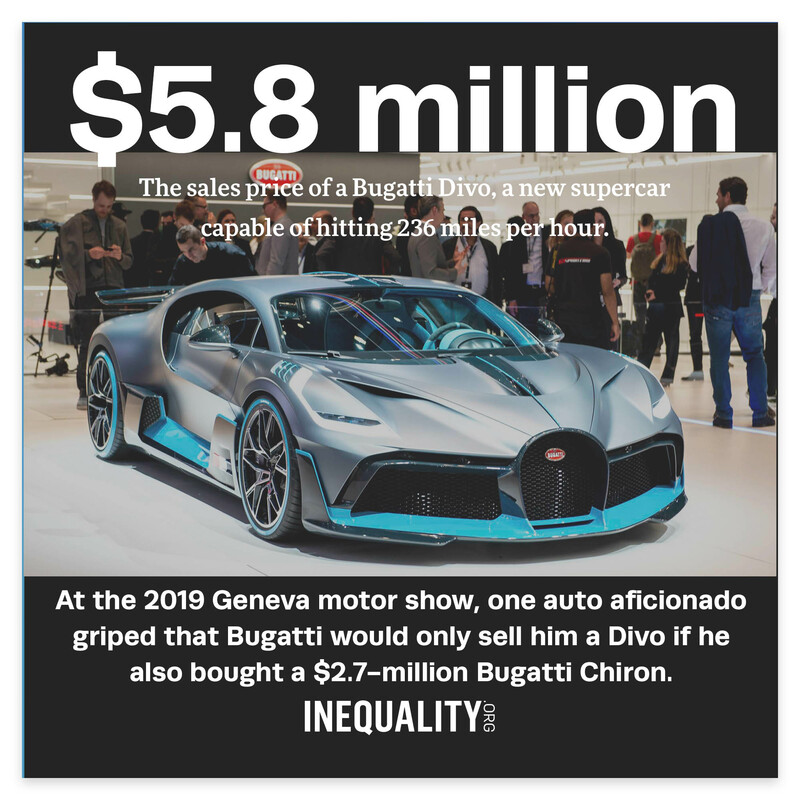 As always, please remember you can check out our Inequality.org website for more background on how gender and economic inequality intersect. The year 2014 marked the start of a dark chapter in the fight for the right to water. In Michigan that summer, the city of Detroit began an egregious campaign of mass water shutoffs, just as news began surfacing about poisoned public water in Flint. That chapter has not yet ended, forcing people in Michigan to fight for their lives as they try to envision a world that doesn’t punish people simply for being poor. We have more this week from Maureen Taylor, the state chairperson for the Michigan Welfare Rights Organization. Taylor recently explained the fight for water rights to the U.S. House Committee on Transportation and Infrastructure. Billionaire Betsy DeVos, the U.S. secretary of education, has had plenty of support from fellow billionaires in her efforts to shift public tax dollars out of public education. 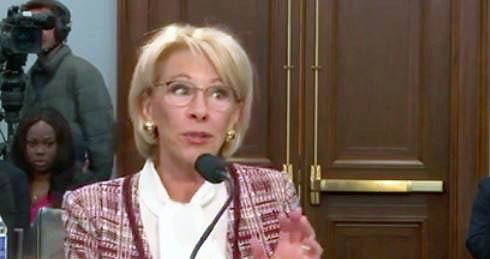 But her billionaire pals left DeVos on her own last week as she labored before Congress to defend her proposal to zero out federal funding for the beloved Special Olympics program. Angry lawmakers demanded a reason for the cutback. The Devos reply — “We had to make some difficult decisions with this budget” — quickly went viral. Special Olympics funding, noted writer Nick Jack Pappas, costs taxpayers about the same as five Trump golf trips to Mar-a-Lago, making the cutback proposal not a difficult decision but “an evil one.” A defiant DeVos the next day attacked the media for “falsehoods and fully misrepresenting the facts.” The facts no one denies: The DeVos budget would spend $1 billion on vouchers for private school tuition and whack $3.6 billion out of overall federal education spending. At week’s end, President Trump bailed on DeVos, too, and nixed the Special Olympics cut. His administration’s other cuts remain. If top U.S. corporations can afford to spend over $5 trillion buying back their own shares of stock, how can the United States not afford a Green New Deal? Stock buybacks have no redeeming social value whatsoever. Buybacks don’t make corporations more efficient or effective. They just make the rich richer. Could Congress change that? On Capitol Hill, some just-introduced new legislation aims to ban buybacks completely across the corporate board. 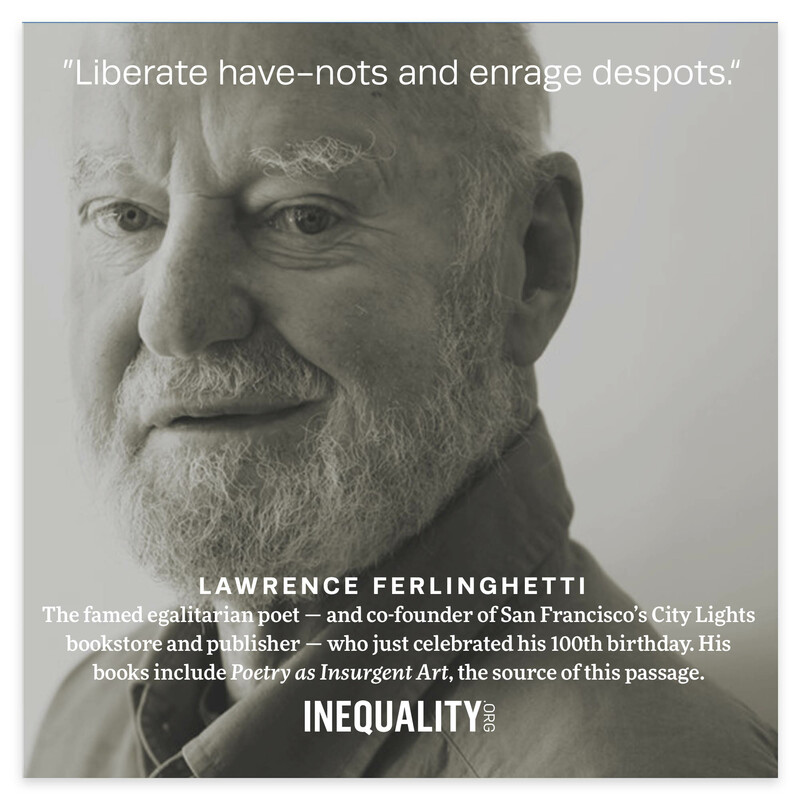 Inequality.org co-editor Sam Pizzigati, author of The Case for a Maximum Wage, has more. Sarah Anderson, How Wall Street Drives Gender and Race Pay Gaps. 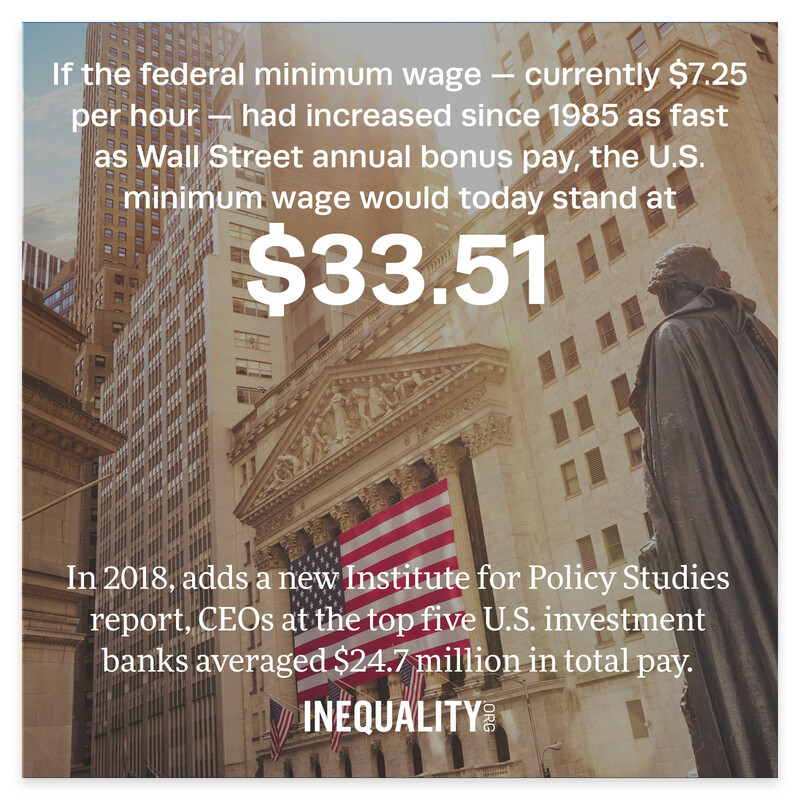 The 2018 Wall Street bonus pool totaled $27.5 billion, more than triple the combined annual earnings of all U.S. full-time minimum wage workers. Brian Wakamo, It’s March Madness. Unionize the NCAA! "Student-athletes" make billions for others while putting their own futures at risk. Jim Pickard and Jennifer Thompson, MPs urge companies to cap ‘eye-watering’ executive pay, Financial Times. UK lawmakers are recommending that companies do more to link their top exec pay to the pay that goes to the rest of their workforces. Nan Enstad, Debunking the Capitalist Cowboy, Boston Review. The entrepreneurs business fetishize the most turn out to “succeed” by manipulating markets and corporate law. Suzanne Woolley and Katya Kazakina, At $50,000 a Year, the Road to Yale Starts at Age 5, Bloomberg. Kindergarten for the top 0.1 percent. 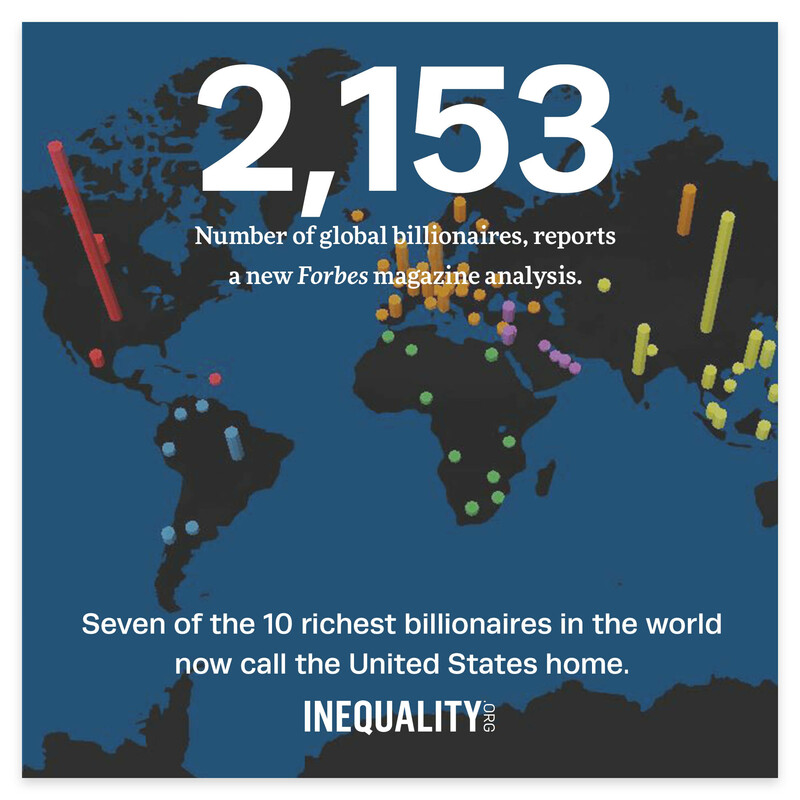 Robert Reich, Jamie Dimon, spare us your crocodile tears about inequality, Guardian. We need much more than token jobs programs. Erik Sherman, Wall Street Bonuses Show Just How Crazy Pay Gaps Get, Forbes. Wall Streeters have pocketed a 1,000-percent increase in their annual bonuses since 1989. Claude Fischer, Opening Day, 2019: Data-Crunching, Inequality, and Baseball, Made in America. Baseball has never offered a better window into America’s economic future. Inequality.org All Rights Reserved. Unsubscribe.